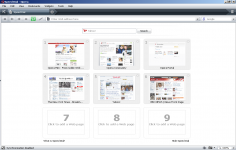 Opera Web browser offers an alternative to the large market of browser for Internet Explorer, Firefox or Chrome. 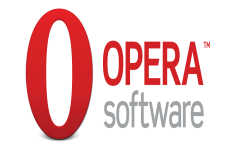 Opera Web browser use a new rendering engine used in Chromium that offers increased speed. Opera also includes the Speed â€‹â€‹Dial feature that allows to combine the most visited pages and go directly to the opening of a new tab. The famous browser adds an "all terrain" mode that accelerates the loading of pages on small connections through proxy servers Opera Foundation. Opera now centralizes catches web pages in one easy to access place for the easily find. Finally, the software suggests Web sites based on visited web pages. In addition, the Quick Find feature allows you to quickly find a previously visited web page and it just by typing one or more keywords in the address bar. In addition, a built against malware and phishing system is provided and you can see improvements in the speed of email clients and RSS.